Everyone seems to be missing the point here, politically getting rid of entitlements is an impossible task, it can’t be done, period. The first thing is the liberals are too shallow to see their danger and is going to fight tooth and nails on keeping and getting even more entitlements. The only way to get rid of entitlements is to close the gate on what allowed them in, in the first place. Before the “New Deal” the USA free market place economy would never have allowed entitlements to grow unabated. The problem is during the "New Deal" the USA free market place economy got hog-tied and afterward lacks the discipline to protect itself or the larger society. 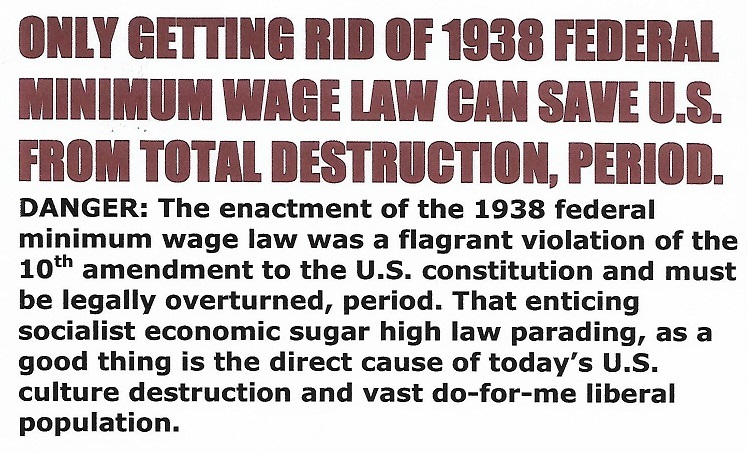 The evil 1938 socialist minimum wage law has the USA economy in a full nelson where it is too weak to fight off entitlements, culture rot, moral decay, or anything else. No political party or movement can get rid of entitlements, but an untied true free market place economy can and will if given the chance. Otherwise, the USA might as well accept its fate and be remembered as that once great land of the free and home of the brave. F. L. SIRMANS LOG: 24 JULY 2017, 1510 HOURS.